Quiet 3 bdrm/2.5 bath townhome in Evergreen with attached garage. 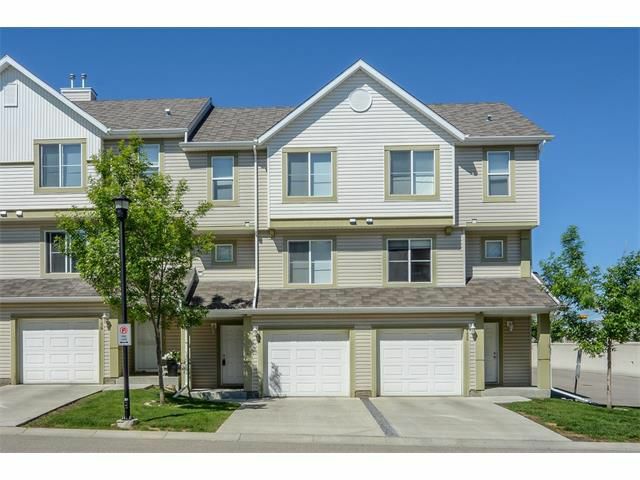 This unit has been well maintained & is nestled on the east side of the complex with a sunny west facing deck off the living room. Vaulted ceilings and large windows make this unit very bright. The kitchen overlooks the living room & features maple cabinets, black appliances, pantry & generous table nook. There is a two piece bath for your guests that is shared with NEW Samsung front loading Washer/Dryer. The Master Suite easily fits a King bed & offers a walk-in closet and 3-piece En-suite bath. Two additional bdrms & full bath are also on the upper level. The basement is fully developed with a west window & is currently being used as an office. Comes with single ATTACHED garage (insulated & dry-walled), additional parking on driveway & guest parking around the corner from the unit next door. Great location, blocks from Fish Creek, LRT, shopping & schools. Call today!